In a recent post titled "Attorney General Orders Review of Administrative Closure", I reported that the attorney general had directed the Board of Immigration Appeals (BIA) to refer Matter of Castro-Tum to him for review, to give him the opportunity to assess various issues related to administrative closure. Administrative closure, which is available to an Immigration Judge and the Board, is used to temporarily remove a case from an Immigration Judge's active calendar or from the Board's docket. In general, administrative closure may be appropriate to await an action or event that is relevant to immigration proceedings but is outside the control of the parties or the court and may not occur for a significant or undetermined period of time. Administrative closure is not rooted in either regulation or statute. Rather, it is purely a judicially created procedure, described by the BIA as an "administrative convenience" in Matter of Gutierrez. As preliminary matter, I would note that administrative closure can be helpful to the immigration court. For example, where an alien is serving a criminal sentence of life or several decades, administrative closure allows the court to avoid a prolonged hearing resulting in the issuance of an order that may never be executed. Similarly, in the case of a mentally ill respondent without representation, administrative closure allows the court to close the matter to enable the alien to seek treatment. The decision to institute deportation proceedings involves the exercise of prosecutorial discretion and is one which neither the immigration judge nor this Board reviews. Once deportation proceedings are commenced, the immigration judge must order deportation if the evidence supports the charge. [T]he immigration judge is without discretionary authority to terminate deportation proceedings so long as enforcement officials of the INS choose to initiate proceedings against a deportable alien and prosecute those proceedings to a conclusion. The immigration judge is not empowered to review the wisdom of the INS in instituting the proceedings. His powers are sharply limited, usually to the determination of whether grounds for deportation charges are sustained by the requisite evidence or whether there has been abuse by the INS in its exercise of particular discretionary powers. Moreover, and notwithstanding the BIA's contention that administrative closure simply allows the court "to temporarily remove a case from an Immigration Judge's active calendar," there is no guarantee that such closure would be "temporary". Rather, such cases remain closed until one of the parties files a motion to recalendar, or until the court recalendars the case itself. In recent years, our immigration system has been overwhelmed. The caseload has tripled since fiscal 2009 and doubled since fiscal 2012. As the backlog of immigration cases grew out of control, the previous administration simply closed nearly 200,000 pending immigration court cases without a final decision in just five years — more than were closed in the previous 22 years combined. But under President Trump, we have already taken steps to bring down the backlog in cases. We are completing, not closing, immigration cases. Under President Trump, our immigration judges completed 20,000 more cases this last fiscal year than in the previous one. We have hired 50 immigration judges since January, and we plan to hire another 60 over the next six months. Last week, I issued a memo to our Executive Office for Immigration Review, which makes clear that cases are to be resolved either with a removal order or a grant of relief. Appeals that are frivolous ought to be resolved quickly, and fraud ought to be documented and prosecuted. There are sound reasons to limit the amount of time that cases are pending in immigration court. In a recent publication in the Federal Register, DOJ revealed that: "As of January 1, 2018, there were 667,292 total cases pending before the immigration courts." In addition to those cases, the American Bar Association's ABA Journal announced on January 5, 2018, that the number of administratively closed cases was actually "350,000 — more than half of which were closed in four years under the Obama Administration." This means that more than a million cases, in one status or another, are currently pending before the immigration courts. The more quickly those cases can be resolved, the more quickly that backlog will be reduced. In addition, although some benefit may accrue to the government and the court from administrative closure, as the Supreme Court noted in INS v. Doherty, "in a deportation proceeding ... as a general matter, every delay works to the advantage of the deportable alien who wishes merely to remain in the United States." It was against this backdrop that Attorney General Sessions directed the BIA to refer Matter of Castro-Tum to him, to review, among other things, whether immigration courts and the BIA have the authority to close cases administratively and, if not, whether he should grant them that authority. The brief outlines Sessions' troubling statements that display an intense hostility toward noncitizens who do not meet his standards for income, education, professional skills, and language ability, or whose family ties might provide a basis for immigration status. Because Sessions' statements render him unfit to fairly decide Castro-Tum's case, our brief asks Sessions either to vacate the referral order or to recuse himself from the case. That brief shows a significant misunderstanding of the certification procedure, one that is premised on a facile iteration of the attorney general's legislative efforts and statements with respect to immigration. An additional tool, used only twice by the Obama Administration, is the authority of the Attorney General to adjudicate immigration cases under the Immigration and Nationality Act [INA]. This authority can be exercised on the Attorney General's own motion, or through the referral of cases to him by the [BIA] or the Secretary of the Department of Homeland Security. As has been recognized: "This certification power, though sparingly used, is a powerful tool in that it allows the Attorney General to pronounce new standards for the agency and overturn longstanding BIA precedent." 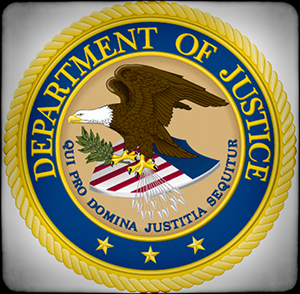 This authority, which gives the Attorney General the ability "to assert control over the BIA and effect profound changes in legal doctrine," while providing "the Department of Justice final say in adjudicated matters of immigration policy," represents an additional avenue for the advancement of executive branch immigration policy that is already firmly embodied in practice and regulations. [B]ecause due process requires a neutral decision-maker in immigration proceedings, and the Attorney General's documented lack of neutrality disqualifies him from participation in this case. Here ... the Attorney General has made numerous public statements that, individually and collectively, demonstrate prejudgment of this particular case. First, the Attorney General's recent public remarks — including an official speech and memorandum from less than a month before he referred this case to himself — strongly suggest that he decided to end the practice of administrative closure before invoking the referral regulation in this case. Second, the Attorney General has expressed sustained bias toward unaccompanied children, a designation that applies to Castro-Tum. Finally, the Attorney General's long history of public commentary on immigration, both as a United States senator and as Attorney General, reflects a predisposition to disfavor certain categories of noncitizens — particularly those who do not meet his standards for income, education, professional skills, and language ability, or whose family ties might provide a basis for immigration relief. Taking the last point first, the argument of amici, if accepted, would strip any attorney general who had made public statements about immigration (positive or negative, and either before or after assuming that position) of the powerful certification tool, largely negating the ability of the attorney general to utilize his lawful authority. It is the Attorney General who was statutorily charged, and remains charged together with the Secretary of the Department of Homeland Security, with the administration and enforcement of the immigration laws. The Board has authority to act only to the extent that the Attorney General, by regulation, so provides. This authority is not like that of a jury in a criminal or civil trial. Jurors are chosen because they do not know the facts of the case and the parties. Ideally, by contrast, the attorney general would have opinions about the immigration laws and their enforcement in order to fulfill his statutory obligations. The referral authority has ... proven itself to be an effective conduit for executive branch immigration policy. Through referral and review, the Attorney General has created frameworks to govern how his discretion should be exercised in certain circumstances. In many cases, the Attorney General was able, through referral and review, to provide a clear, cogent, and definitive legal or policy prescription for immigration officials on the issue resolved. At least in these cases, the review authority has met its promise as an important tool in the executive branch's quiver of options for advancing its immigration-related goals. Among the factors to be taken into account in making this determination, under section 212(a)(4)(B) of the INA, are the alien's "age ... assets, resources, and financial status; and ... education and skills." Further, section 312 of the INA requires, with limited exceptions, that aliens demonstrate "an understanding of the English language, including an ability to read, write, and speak words in ordinary usage in the English language" before they can be naturalized. First, the Attorney General repeatedly has made public remarks associating unaccompanied children with the violent transnational gang MS-13, including in multiple official speeches over the past year. Some of these speeches were reported in the press, and the references to unaccompanied children and MS-13 remain online in the prepared remarks posted on the Department of Justice website. Second, as both a senator and Attorney General, the Attorney General has expressed the strong view that unaccompanied children should not be allowed to remain in the United States. One of the biggest challenges we face are TCOs such as the international criminal organization known as Mara Salvatrucha 13, more commonly known as MS-13. While MS-13 has had a presence in the United States and been a regional threat for many years, it has proliferated both throughout the United States and the region more recently, as our partners at U.S. Immigration and Customs Enforcement (ICE) and the Department of Justice have reported. CBP has faced many challenges in recent years, including large-scale flows of foreign nationals from Central America and Mexico. MS-13 took full advantage of these flows of foreign nationals into the United States by hiding in these populations to enter our country. As a result, American citizens have died, and domestic law enforcement across the nation has had to deal with the burden of MS-13 violence and drug-dealing on American streets on a daily basis. UACs with suspected TCO affiliations such as MS-13 present unique challenges. UACs — the majority of whom are males between the ages of 14 and 17, and from Guatemala, El Salvador, and Honduras — are processed in accordance with all applicable law, regulation, court orders, and policy. Provost, who does not work for the attorney general, plainly speaks from a position of authority on this point. We recently did a review of the UAC in our secure and staff secure facilities on June 9, 2017. From that review, we found that of the 138 UAC in those facilities on June 9, 35 were voluntarily involved with gangs. Four had reported that they had been forced into gang participation. But Danny met gang members at school and was sucked back into tensions between MS-13 and a rival gang. On orders from gang leaders in El Salvador, detectives say, he was shot to death as he trudged to a school bus stop one September morning. The brazen killing in 2015 marked one of the opening salvos as the vicious gang has made a comeback in the United States after years of relative quiet. The rise in violence has hit especially hard on Long Island and in Boston, Houston and the D.C. area, with authorities linking dozens of killings to the gang. Finally, as chief law-enforcement officer of the United States, the attorney general himself speaks from a position of authority on such issues. [T]he Attorney General's long history of advocating against unaccompanied children — from supporting bills to limit their protections as a senator to sharing public anecdotes of DACA recipients alleged to have committed crimes — creates a potential for bias that would mar any decision in the case he has referred to himself. A senator sponsoring legislation is unremarkable — it comes with the office. Moreover, true stories about alien criminals might be anecdotal, but that does not make them any less truthful, or indicate bias. Here, the Attorney General has invoked the self-referral authority ... to review a case that presents the following combination of unusual circumstances: (1) the respondent was designated as an unaccompanied child; (2) no record was developed because the IJ administratively closed the removal proceedings in absentia; (3) the Board ruled against the respondent, vacating the administrative closure order and remanding the case to the immigration court to send him a new Notice of Hearing; and (4) the respondent was unrepresented by counsel throughout proceedings and, to amici's knowledge, is still unrepresented. Here, the Board initially vacated and remanded the order of the immigration judge ("IJ") administratively closing Castro-Tum's case. ... If the Attorney General upholds the Board's order, ending administrative closure, Castro-Tum's case will require remand to the immigration court for entry of a removal order in the first instance, followed by any appeal to the Board, before a final order of removal could issue. At that point, Castro-Tum would be entitled to file a petition for review with the U.S. Court of Appeals for the Third Circuit challenging the Attorney General's decision on any applicable grounds. If the Attorney General vacates the Board's order, Castro-Tum's case will remain administratively closed and judicial review will not be available unless and until the case is re-calendared, the IJ orders removal, and the Board affirms the removal order. [R]emands a case to an immigration judge for further proceedings, it divests itself of jurisdiction of that case unless jurisdiction is expressly retained. Further, when this is done, unless the Board qualifies or limits the remand for a specific purpose, the remand is effective for the stated purpose and for consideration of any and all matters which the Service officer deems appropriate in the exercise of his administrative discretion or which are brought to his attention in compliance with the appropriate regulations. Here, according to amici, the BIA vacated the administrative closure order that had been issued by the immigration court, and remanded the case to the court with direction to serve the respondent with a "new Notice of Hearing", not to order removal. If Castro-Tum shows up for his hearing, he can contest his removability and/or apply for any relief available to him. Whether the initial service of the hearing notice to Castro-Tum was appropriate was not among the questions raised by the attorney general in his order; instead, it is a matter of fact for the immigration court to determine as a preliminary matter, hence the BIA's remand for the issuance of a new hearing notice. "If the Attorney General upholds the Board's order", Castro-Tum gets a new hearing notice, not an order of removal. And, in the best case scenario, as described by amici, the attorney general could vacate the BIA's order and "Castro-Tum's case will remain administratively closed." He himself could always file a motion to recalendar the matter, as could ICE. It is difficult to see how such an order would disadvantage this particular alien. In fact, it appears that the attorney general picked this case because there was so little on the line as it relates to this respondent. Should the attorney general "determine that Immigration Judges and the [BIA] currently lack the authority to order administrative closure," as he mentions is a possibility in his order, Castro-Tum's case would be in the same posture that it was when the attorney general took the matter on certification. With respect to the first point made by amici, that "the Attorney General's recent public remarks — including an official speech and memorandum from less than a month before he" directed the BIA to refer Castro-Tum's case to him "strongly suggest that he decided to end the practice of administrative closure before invoking the referral regulation," they again fail to demonstrate bias. Logically, the attorney general would only refer cases to himself involving issues that he believed merited review. This point is so self-evident that it hardly bears stating. There would be no reason for the attorney general to direct the BIA to refer a case to him if he does not have an opinion about some point or another in that case, or believe that immigration precedent, policy, or procedure merits reconsideration. In fact, the attorney general could have had the BIA refer an administratively closed case to him and ultimately held that there was no authority for such closure. The fact that he requested briefing from amici on the issue of whether there is authority for administrative closure and whether it is a good idea actually undermines any implication of bias. Most fundamentally, however, amici's argument that referral under the regulations "requires a neutral decision-maker" ignores the history of that procedure. This is a matter on which I have personal knowledge. I was the attorney in Matter of Haddam, the case cited by the attorney general in his order in Matter of Castro-Tum for the proposition that the BIA's "decision is automatically stayed pending" his review of that case. At the time that I requested the attorney general review the BIA's decision in that matter, I was working for the former Immigration and Naturalization Service (INS). My ultimate boss (and the official on whose behalf I had argued that case) was the attorney general of the United States, then Janet Reno, the same person from whom I requested review. If there is no inherent bias in having an individual who, in essence, is the ultimate prosecutor in a matter become the ultimate decision maker in it, it is difficult to see how the points raised by amici, even if they were valid, would demonstrate such bias that recusal would be appropriate. Finally, even assuming that the points raised by amici relating to bias were valid, the bias purportedly identified would have no bearing on the attorney general's ultimate decision in this matter. Whether Jeff Sessions likes or doesn't like "unaccompanied children" or aliens "who do not meet his standards for income, education, professional skills, and language ability, or whose family ties might provide a basis for immigration relief" has no bearing on the question of whether administrative closure is authorized by law or a good idea or not. I never like to speculate on the unspoken motivations of others, and I will refrain from doing so here. It is possible, however, that amici filed this brief with an eye toward ultimate review by the circuit court of an order by the attorney general ending the practice of administrative closure. Unfortunately, certain courts have, of late, entertained such bias arguments as they relate to the Trump administration, notwithstanding the fundamental soundness of the legal principles underlying the administration's orders and determinations. It is also possible, however, that amici believe that they will be able to convince the attorney general that he is too biased to consider the points he himself has raised. I doubt, however, if that is their intent that they will be successful.